Join host Robert Forto as he welcomes Mitch Seavey to Mushing Radio. 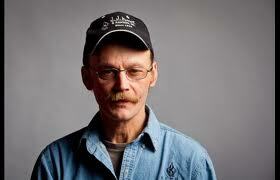 Mitch Seavey of Seward Alaska finished in very respectable 7th place in the 2012 Iditarod. A race ins which three generations of the Seavey name shared the trail; Mitch, Dallas and Dan. On the show Mitch imparts lots of his wisdom that he has learned from the years on the trail including his one bit of advice for rookies: know your dogs and finish with a healthy dog team. Mitch says, that rookies will get much more acolades from their peers if they finish in 40th place with a healthy and happy dog team than if that team finishes in the top-20 and his team a bit raggedy. The Gypsy Musher talks about the new book!